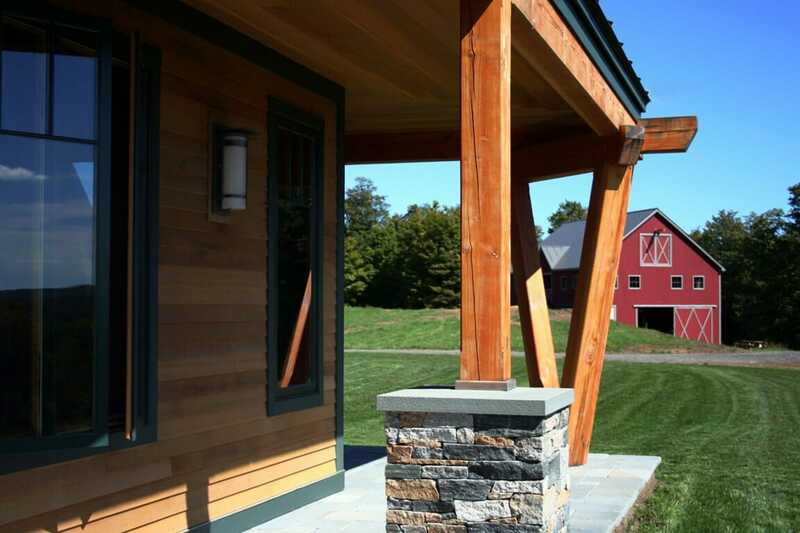 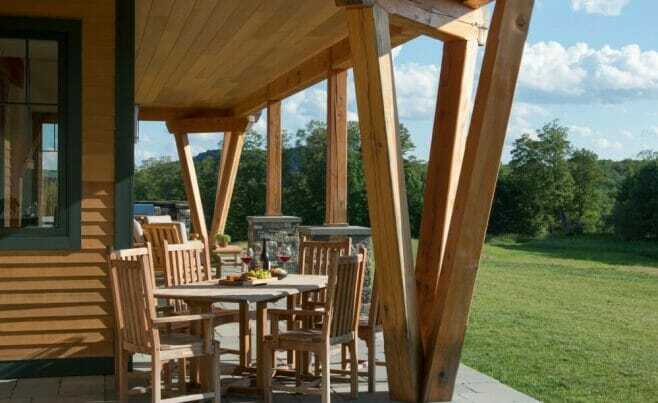 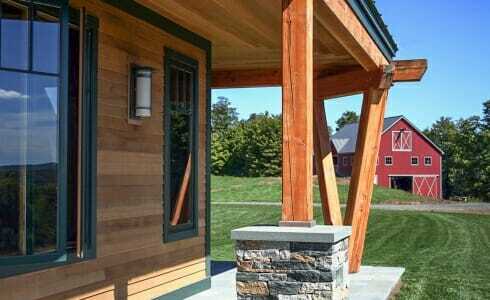 Night Pasture Farm is in Chelsea, VT. Vermont Timber Works provided the timber frame for this home. 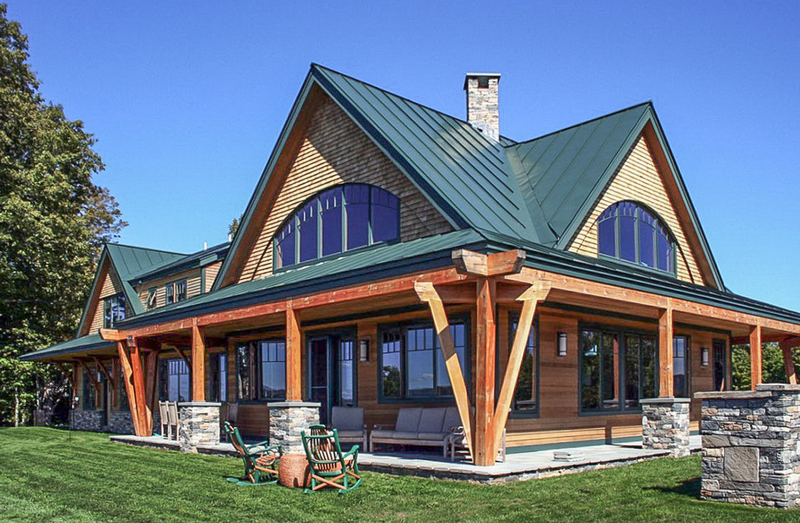 We worked closely with Bonin Architects & Associates, PLLC and the client on this project to get every single design detail just right. 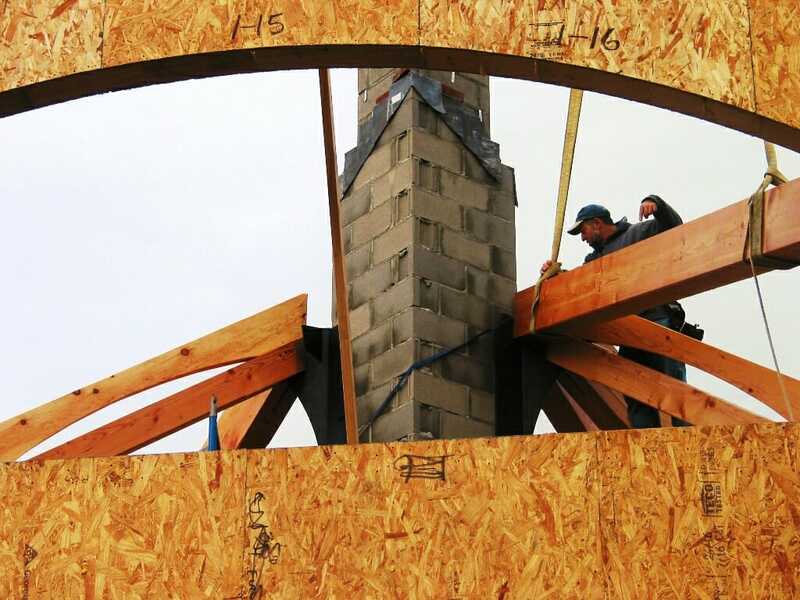 They had an amazing vision, and we’re proud to have done our part to make it happen! The frame has unique structural and decorative touches including cherry wood keys and steel straps. 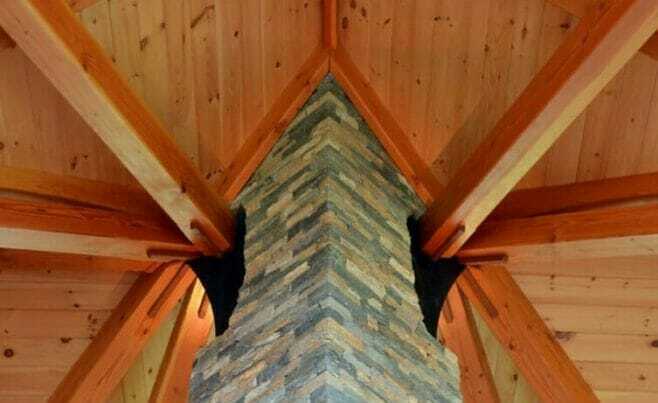 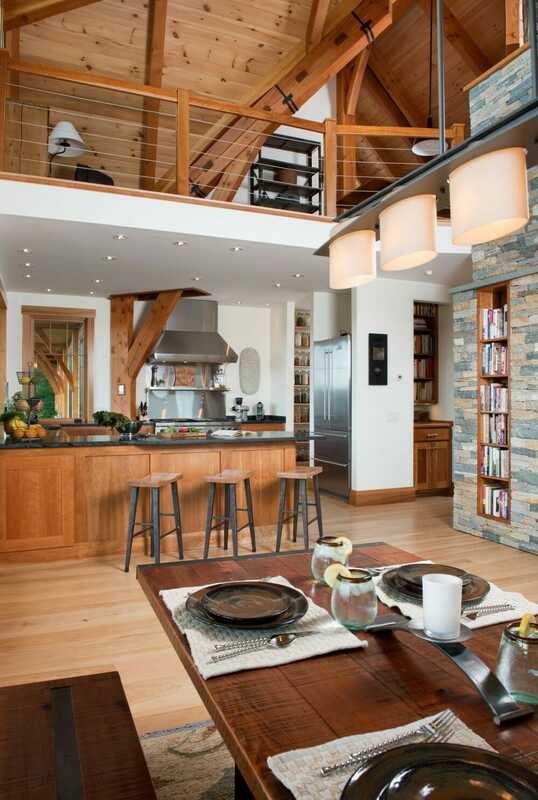 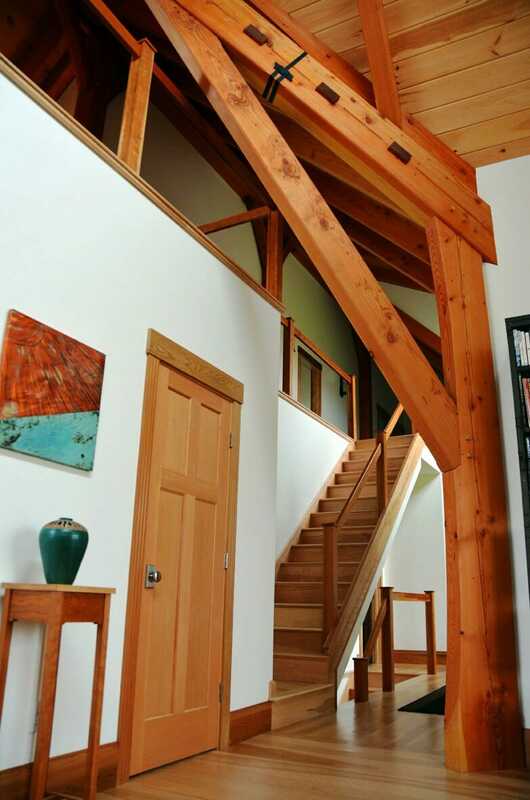 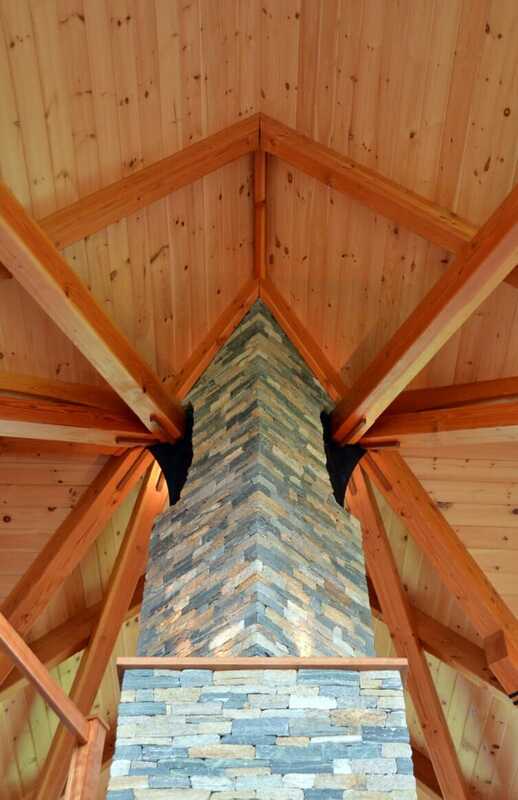 In the center of the home, there is a great stone fireplace that douglas fir beams are fit into. 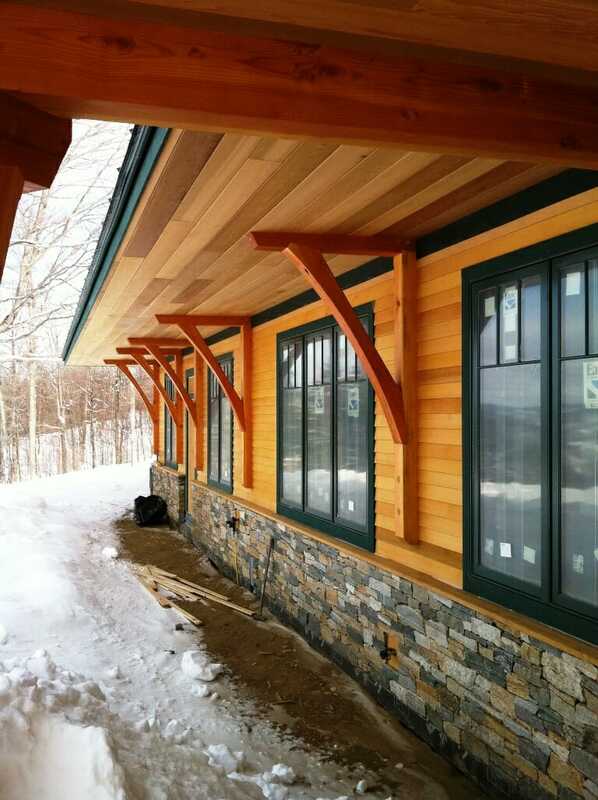 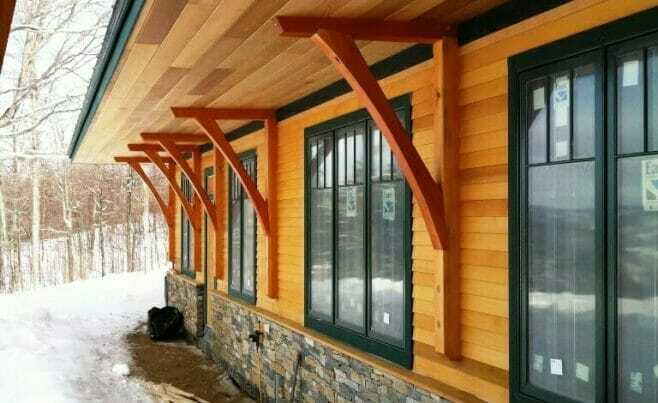 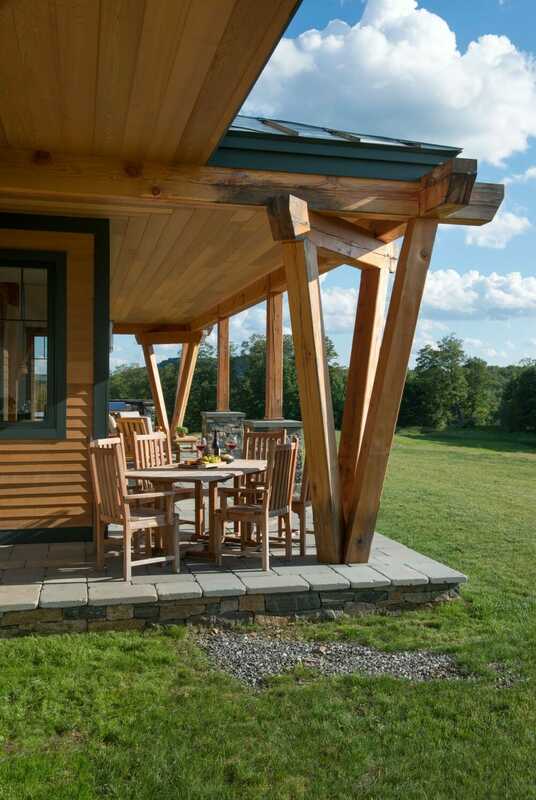 The exterior of the home features arched support timbers and canted posts. 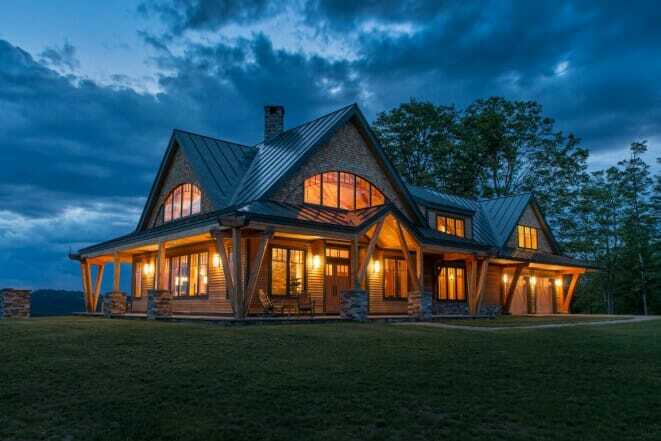 The home is located on a mountain looking out over a valley. 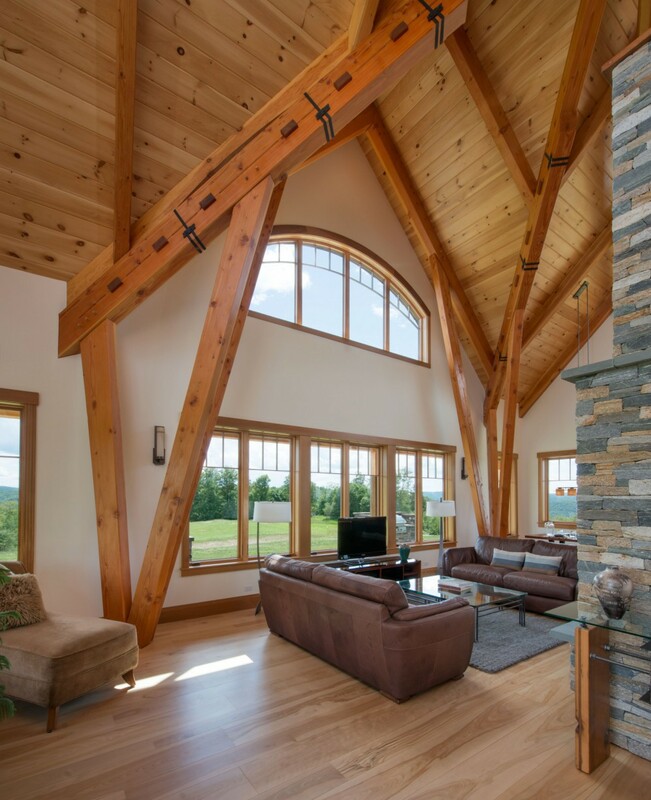 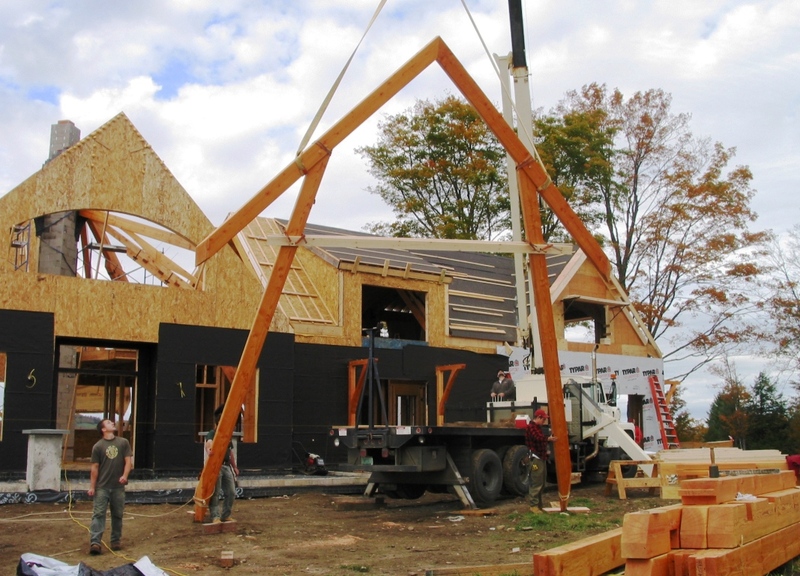 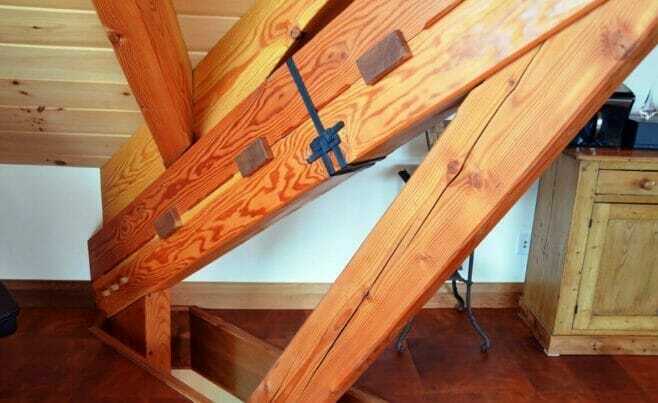 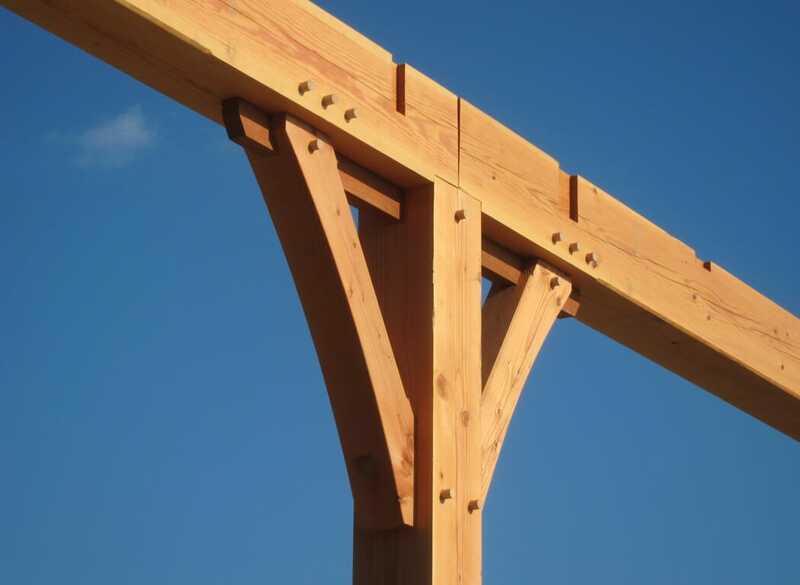 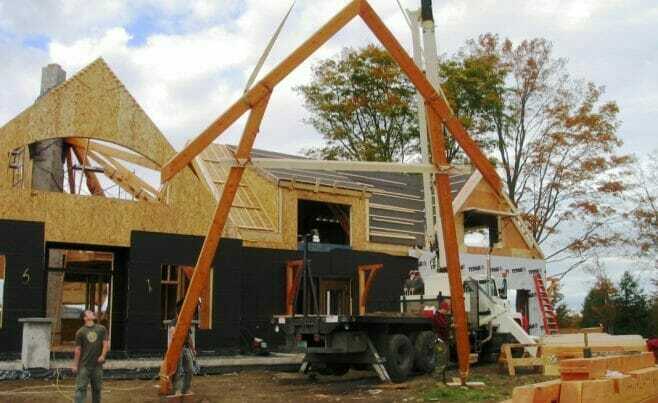 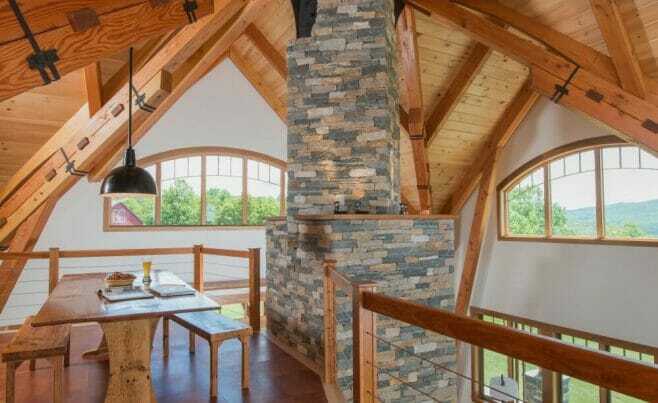 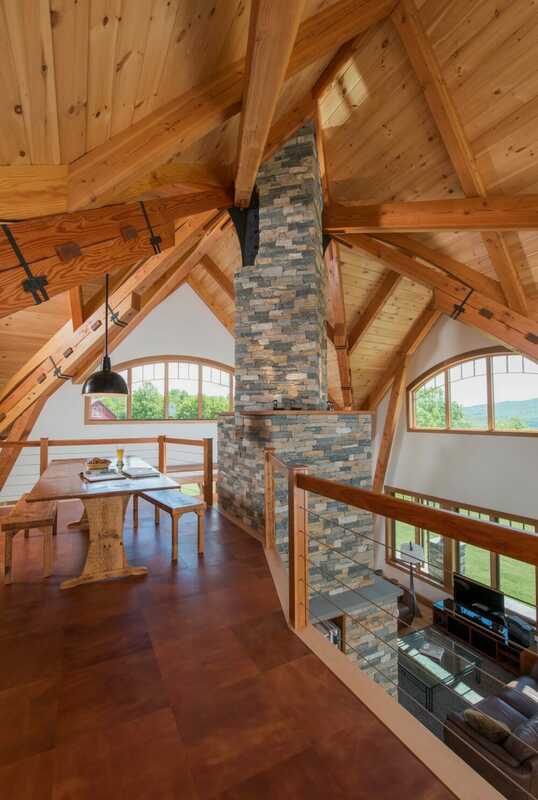 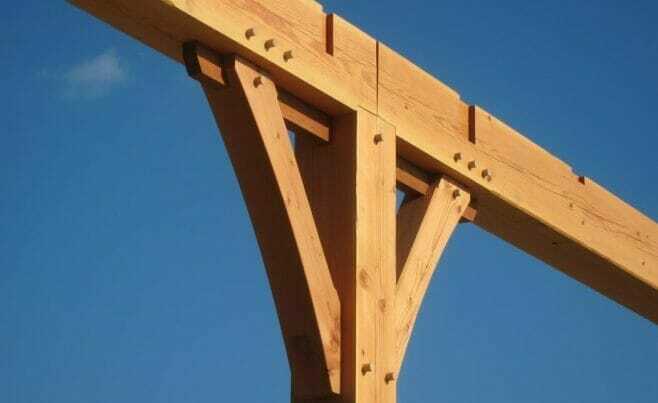 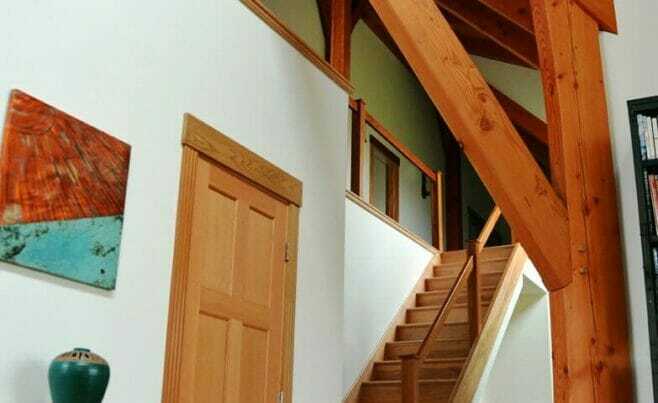 Location is one important thing to think about when designing a timber frame. 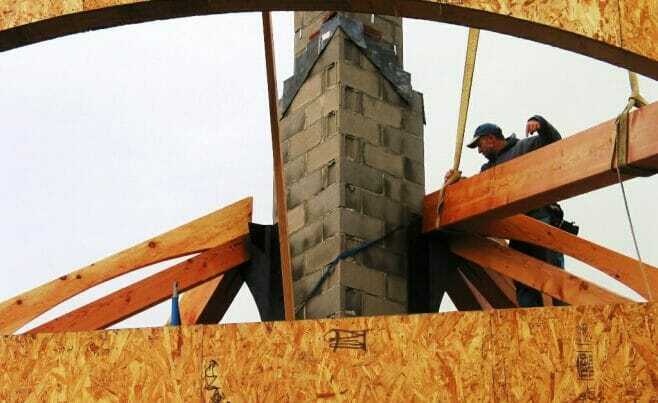 Building codes vary by location. 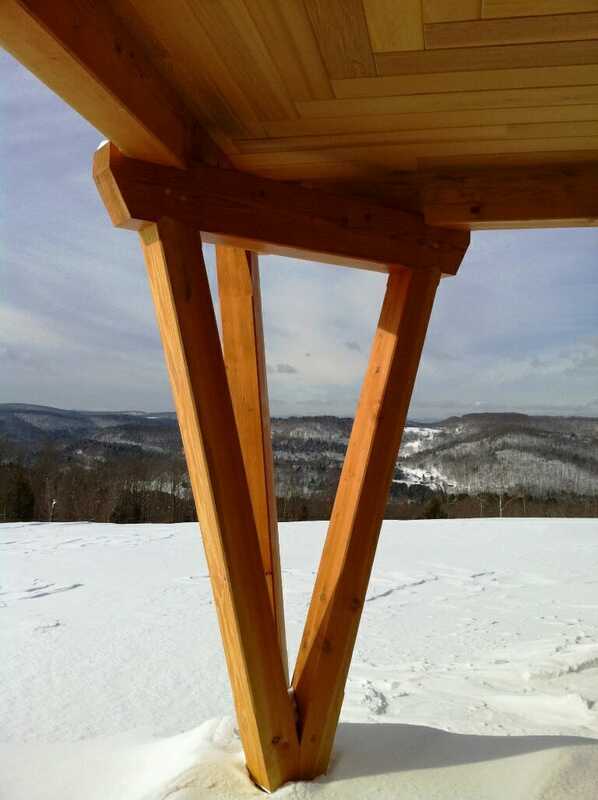 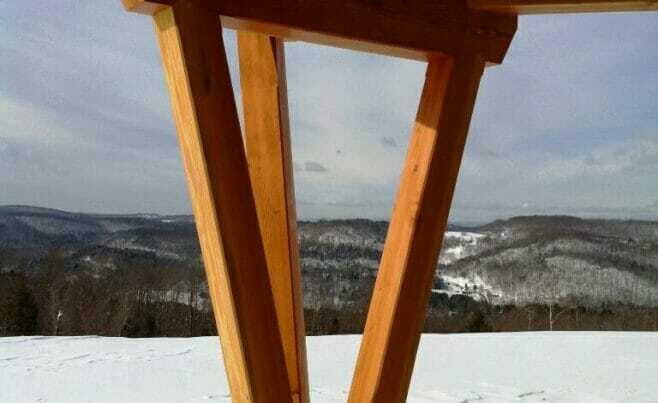 The structure needs to be able to stand strong against wind and snow loads.